By now you should know how much I love all things cilantro, especially cilantro chimichurri. And then I heard about this sauce called zhug from one of my Instgram followers who knows how cilantro-obsessed I am. Zhug is really similar to chimichurri, and heck spicy, so I knew I had to try to recreate it. Here’s my spicy cilantro sauce…. Are you ready for some deliciousness? 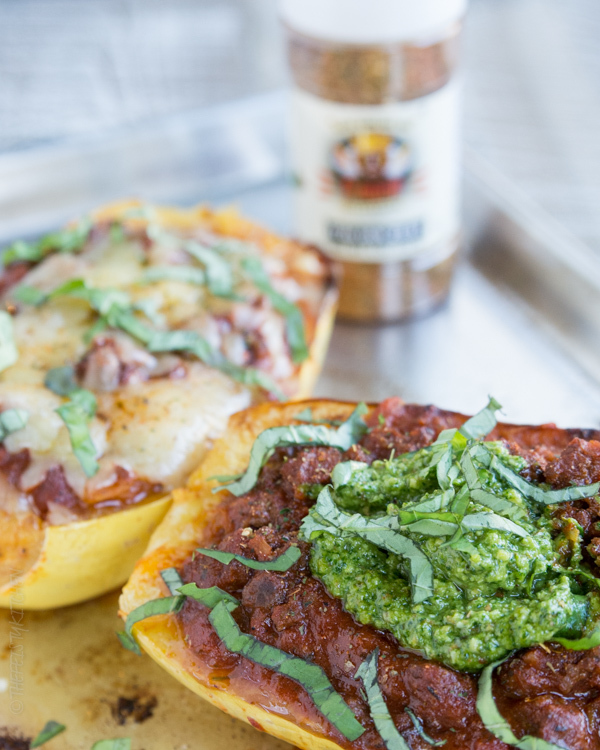 These Italian sausage spaghetti squash boats will make your forget that you’re missing gluten-laden pasta noodles that normally accompany Italian dishes. 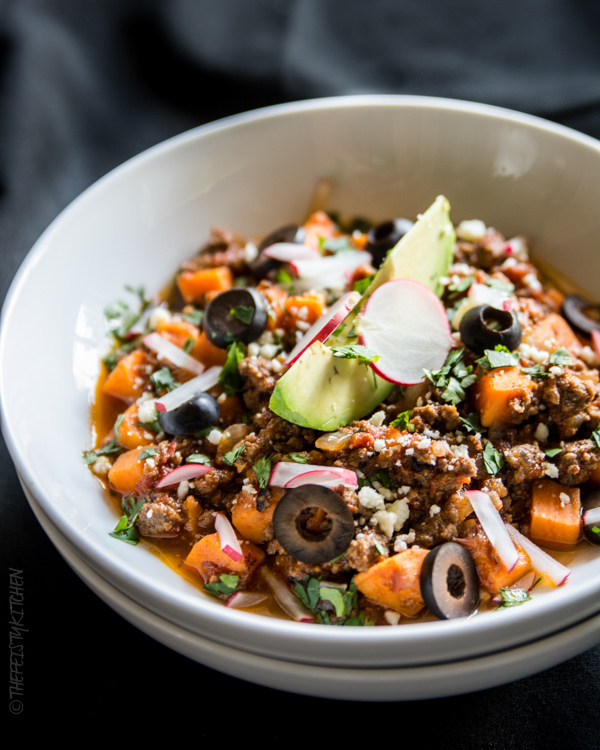 These are easy to prepare ahead as a meal prep option and reheat later in the week. In fact, that’s exactly what I did with these! I used Italian sausage elk meat that my really good friend, Rachel, from 5280 Meat in Colorado sent me. I love getting to try new things that I normally wouldn’t be able to find in the grocery store. Assuming that elk meat isn’t readily available to you, just use regular ground Italian sausage. 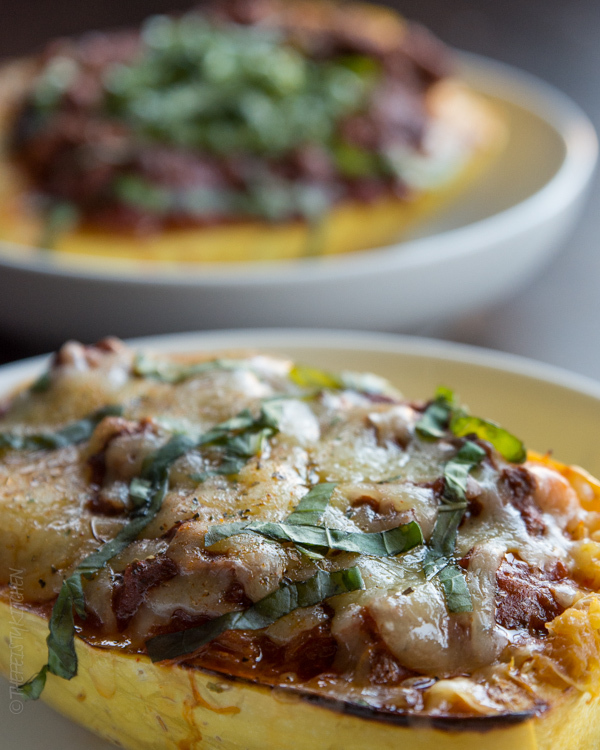 Spaghetti squash is a great low carb option and is super versatile just like normal pasta would be. My had never tried it before <crazy, I know>, and he was happily full and satisfied without the carbs! I used a jar of organic, sugar free marinara sauce from the pantry and spiced it up with some Italian Zest seasoning from FlavorGod, which is my go to line of seasonings. I love these seasonings because they are gluten free, low sodium (so I can add mineral rich Himalayan sea salt on my own), and use the freshest ingredients available! If you do opt to make these ahead of time, you will just need to reheat them in a 350F degree oven for approximately 30 minutes, or until heated through. Add a fresh green salad while they are reheating and you’ll have a perfect meal! Give these a try and let me know what you think! Tag me on Instagram @thefesitykitchen and use hashtag #thefeistykitchen so I can see your creations! For squash: Slice spaghetti squash in half length wise and remove seeds. Drizzle squash on cut side with olive oil then sprinkle with pink s+p. Lay cut side down on baking sheet and roast for about 30 minutes. Remove and let rest until cool enough to handle. Using a fork, shred flesh and remove to a medium bowl. For sauce: Heat ghee in skillet over medium heat, then add sausage and 1 tbsp Italian Zest, and cook until completely browned. Next, add jar of marinara sauce and remaining 1 tbsp Italian Zest, stir and cook over medium low for another 10-15 minutes, until sauce is nice and hot. Combine about 3 cups of the sauce to the bowl with shredded spaghetti squash, stirring to combine. Fill each of the squash shells with mixture. Add back into oven for another 10 minutes, adding shredded cheese and/or pesto on top if desired.